Set in landscaped gardens with panoramic views over the Conval Hills. All four bedrooms are en suite TV, Free Wi-Fi, hair-dryers,and tea and coffee making facilities. 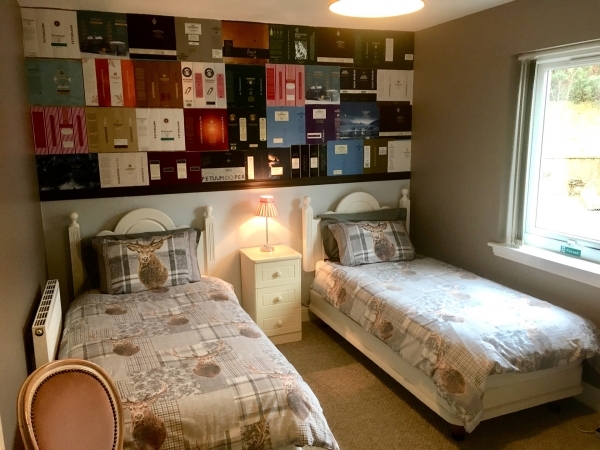 One of the rooms is Whisky-themed for the Whisky enthousiast who wants just that bit extra. 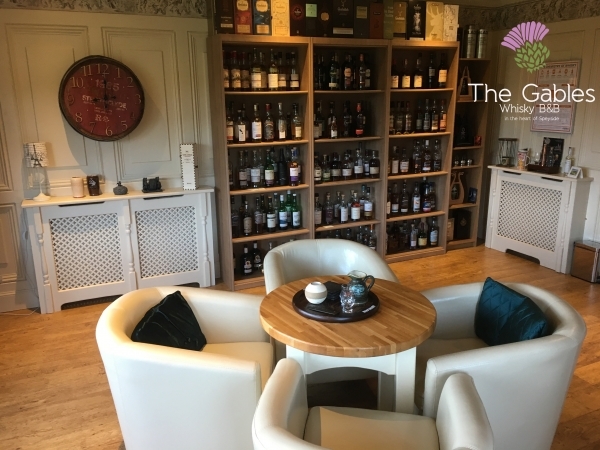 Guests have their own lounge with over 250 whiskies open for tasting and a dinning room. In the grounds there is a log cabin with hot tub and sauna which are both available at an additional charge. Executive transport can also be provided to guests for a more relaxed distillery tour or for that special occasion. 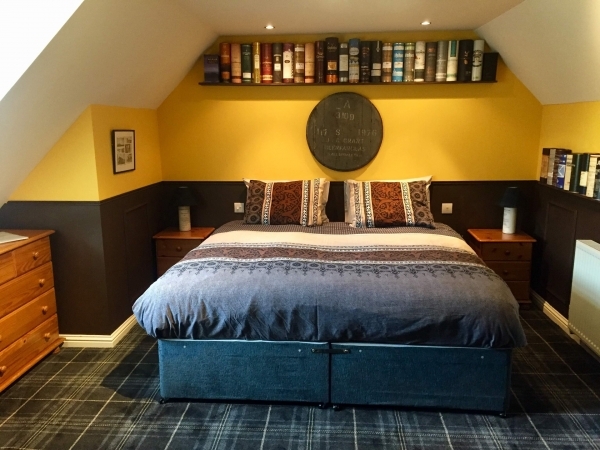 Tariff for 2019 from GBP90 to GBP130 per room Bed & Breakfast. Evening meals by arrangement. The area is renowned for its stunning scenery,walks and wild life.for the more energetic there is Ben Rinnes near by. Guests visiting the area are also well placed for the Castle trail. For the golfers Moray offers many challenging courses from Links, at Spey Bay to Dufftown with one of the highest tees in Scotland. 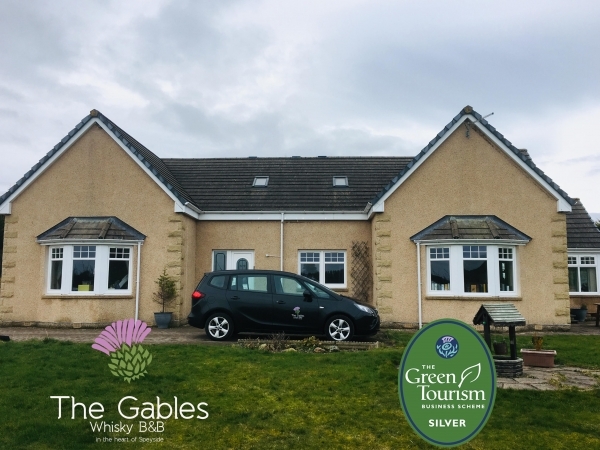 There is also the world famous Whisky trail with many opportunities to vist a Distillery and take its tour with a welcome dram at the end.